but may be redeemed on specific dates thru out the next year so buy now! Mommy & Me sessions will occur on specific Thursdays and Saturdays until May 2017. They will include a 20 minute Studio Session for up to 2 children and Mom, 5 high res images and a print release. For $25 you may add an additional child to your session with 5 minutes added on. 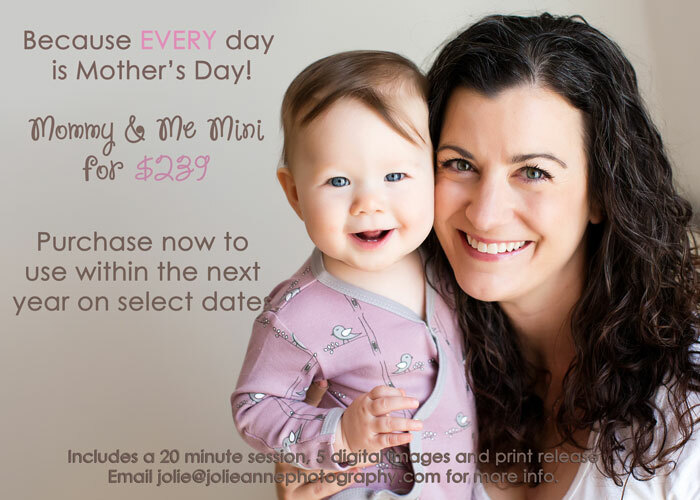 Mommy & Me sessions are only available for purchase until May 15th, 2016 but may be redeemed for up to 1 year.